We all know Cactus as merely a prickly plant that grows in the desert, but did you know that it can actually be an incredible anti-ageing ingredient in our skin care? 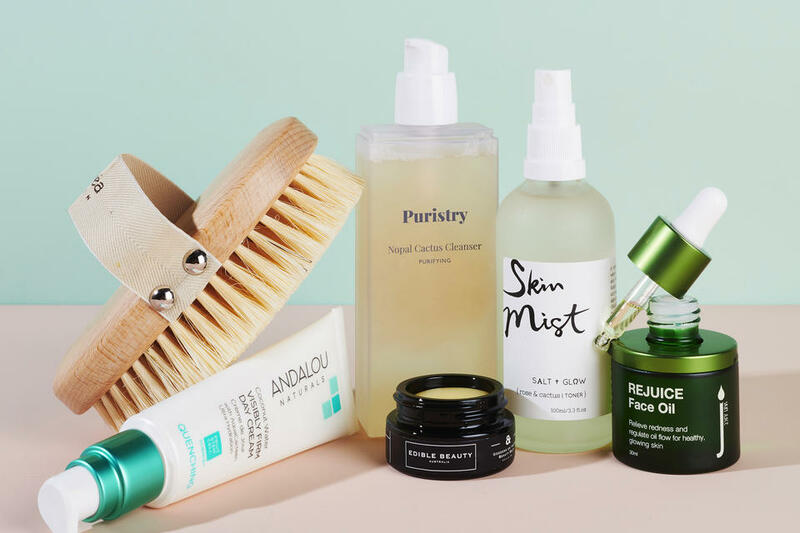 I wanted to let you know all about the benefits of Cactus for skin so I've put together this guide to the best natural Cactus and Prickly Pear skin care products. For most of us, the word 'Cactus' conjures up images of a prickly plant in the desert - certainly not something we'd want to put anywhere near our face! I know how strange the idea of Cactus beauty products must sound, but actually a lot of natural skin care is now packed with Cactus flower extracts, such as Prickly Pear, thanks to their incredibly moisturising and nutrient rich properties. After all, we all know how good Cacti are at holding water! But what does Cactus do for skin and how does it work? Cactus skin care includes everything from cleansers to facial oils to dry body brushing. Prickly Pear Cactus, also known as the Indian Fig Opuntia, is actually not a type of pear! It's a special type of cactus native to North and South America, often found in the deserts of the west coast of the US, and is characterised by its flat shape, sharp prickers and the Cactus fruit it produces. These pear buds are a beautifully vibrant pink-orange colour and contain seeds, and it is from these seeds that Prickly Pear Oil can be made - the powerful ingredient found in some of my favourite natural and organic skin care. Prickly Pear Oil is known as a potent source of Vitamin E, a powerful moisturiser for our skin, as well as being loaded with essential fatty acids, antioxidants and other vitamins, making it perfect for helping to brighten age spots, sun damage and hyperpigmentation. Prickly Pear is also said to help strengthen and rebuild the skin's natural protective barrier and fight back against environmental damage. One of my favourite things about Prickly Pear Oil is that it's lightweight and fast-absorbing yet still very soothing and moisturising, so it can actually be suitable for most skin types. You can actually also drink Prickly Pear Cactus water made from the fruit! 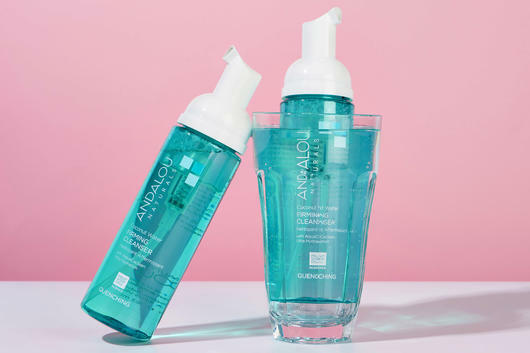 One of my favourite Prickly Pear skin care products is the Andalou Naturals Coconut Water Firming Cleanser. This skin-quenching cleansing foam removes impurities and grime gently but effectively, combining brightening Prickly Pear with refreshing Coconut Water to help deeply restore moisture to the skin rather than strip it dry. Gently massage into damp skin both morning and night to boost thirsty skin with calming hydration. Enriched with nourishing Prickly Pear Seed Oil, the Skin Juice Rejuice Face Oil is basically a green juice for the skin and is ideal for all skin types. Including nutrient-rich Blueberry Seed, Carrot Seed and Chamomile Oils, this soothing plant oil blend works to help balance oil production, soothe blemishes and calm skin. It's also rich in brightening essential fatty acids and antioxidants, making it especially great for fighting dehydration and signs of ageing in mature skin types. Press around 3 drops into the face, neck and chest daily. Can also be used in place of night cream. 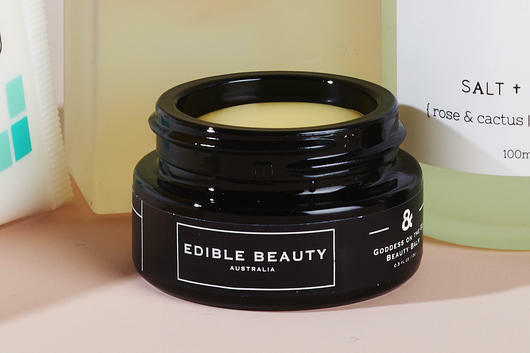 The Edible Beauty Goddess On The Go is a fabulous Prickly Pear-rich multitasker which you can use to hydrate the face as well as lips, hands, cuticles, elbows, feet and even the ends of your hair, really anywhere you experience dryness! This nourishing skin balm is packed with creamy Coconut Oil and Mango Butter, designed to melt into the skin for instant, rich hydration. 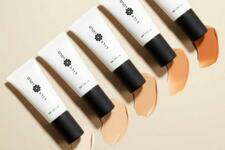 To use, warm a small amount in your hands until it melts, and apply as needed. Like the Cactus family, Aloe Vera is also known for its nutrient-rich and ultra-hydrating properties! 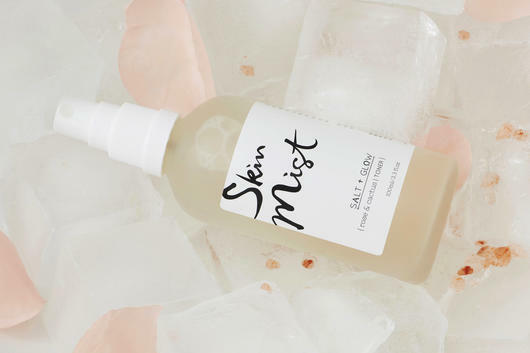 The Salt & Glow Skin Mist - Rose & Cactus Toner is packed with cooling Aloe Vera and Bulgarian Rose Hydrosol for a refreshing burst of hydration, while Witch Hazel tightens pores and Pomegranate, Kakadu Plum and Sea Buckthorn brighten skin. Spritz onto skin after cleansing and before moisturising to help keep the complexion looking plump and fresh. If you prefer gentle, low-foaming cleansers, you'll love the Puristry by 100% Pure Nopal Cactus Cleanser which contains Organic Prickly Pear and Nopal Cactus Extracts as well as cooling Aloe Juice and Honeysuckle. Suitable for all skin types, especially dehydrated skin, this Certified Organic cleansing water works to calm and brighten the skin while removing build-up and impurities. Apply a small amount to hands or a konjac sponge and massage into skin to create a gentle lather. 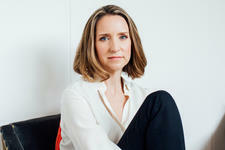 I don't just love cactus IN my skin care - sometimes I use it AS my skin care! The Hydrea Vegan Dry Body Brush is actually made from natural Cactus plant bristles, which might sound painful but they've actually been uniquely cut on a smooth angle to hug the body rather than scratch it. I'm a long-time lover of dry body brushing as it works to help remove dead and dry skin cells as well as stimulate blood flow, improving skin tone and minimising the appearance of skin conditions such as Cellulite and Keratosis Pilaris. I use this exfoliating brush a few times a week to polish skin and also get rid of any old fake tan. To use, brush in upward strokes, towards the heart.